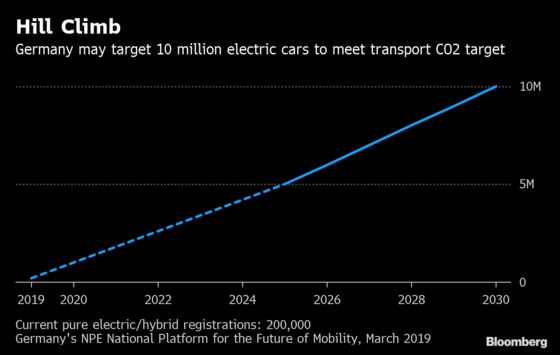 (Bloomberg) -- Germany will need a massive jump in the number of electric cars plying the autobahn highways to make serious progress in cutting carbon emissions from the transport industry. While Germany is shutting coal plants to make its power generation cleaner, greenhouse gases from the transport sector have proved harder to tackle. A strong car lobby, around 800,000 automotive sector jobs and a nation in love with home-built combustion-engine cars have made politicians wary of increasing fuel taxes. That’s the key finding by a panel of experts set up by German Chancellor Angela Merkel and presented to the government this week in Berlin. As many as 10 million electric cars will need to be on the nation’s roads by 2030 to make a significant dent in emissions in line with the global Paris climate agreement, according to the experts. Just 200,000 pure electric or hybrid cars are currently driving on the nation’s roads. While the panel and cabinet members squabbled this week over how to roll back transport emissions based on the 115-page report’s findings, most agree that battery-run cars are essential. 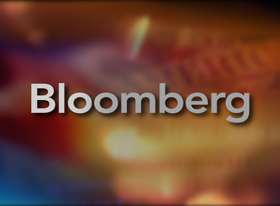 Merkel intends to embed policy to cut transport emissions in law this year. Greenhouse gases emitted by vehicles are on the rise, lifted by economic growth that’s boosted car sales and transportation by trucks. Wary of policy that may harm the automobile industry, Merkel is nonetheless bound by the Paris accord to cut emissions on the roads by about 42 percent by 2030, compared with 1990 levels. Led by former SAP SE Chief Executive Henning Kagermann with help from a number of car industry executives, the group outlines three potential policy routes to help Germany to meet the target for transport emissions. Merkel’s not bound to follow the recommendations while hitting the reduction targets is a prerogative. 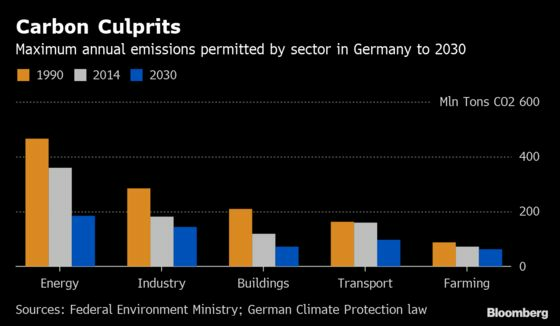 Germany’s 2030 carbon target for transport translates into reducing emissions to a maximum of 98 million tons per year by 2030 from about 170 million tons in 2018. The panel also suggests that synthetic fuels and bio-fuels can help plug the transport sector’s carbon gap. They have the advantage that they don’t require changes to combustion engines or gas station infrastructure, according to the report.